I like exploring Zürich due to its interesting mix of old and modern architecture. 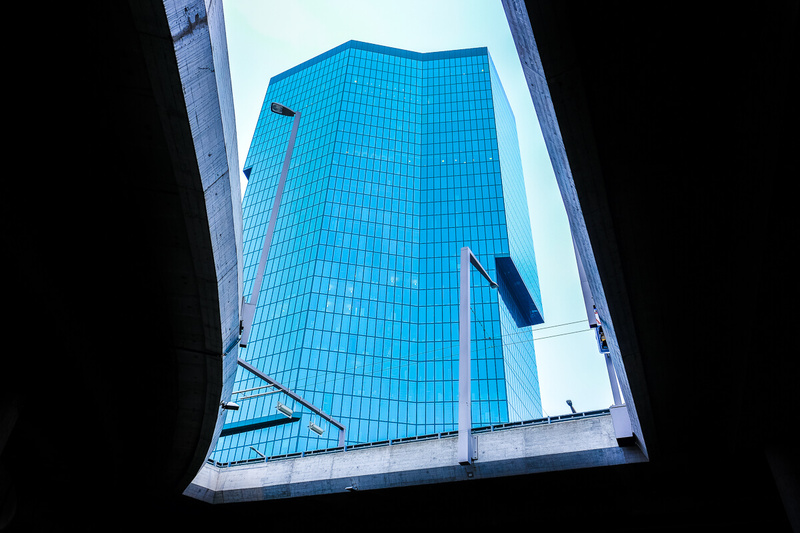 As a photographer, I keep an eye out for interesting color combinations and geometric shapes. 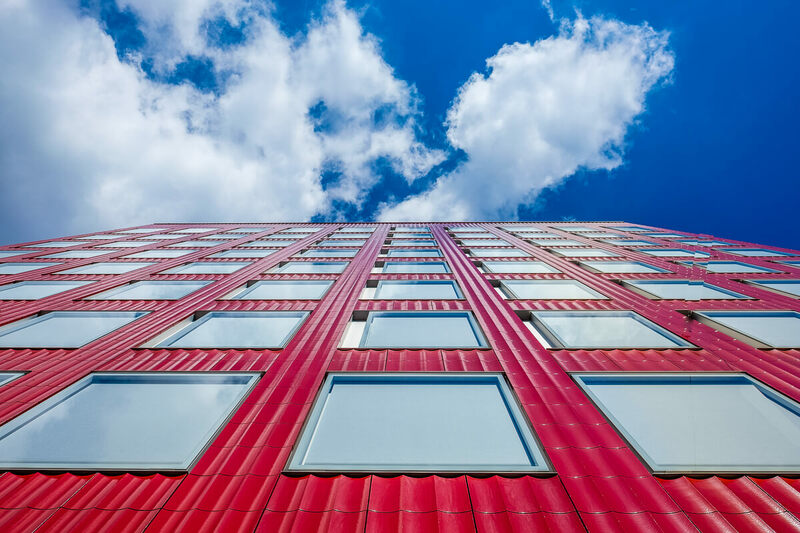 I often find that it helps to look up at the facade of a building, or to inspect a staircase from an unusual angle. Many times, this is how I discover Zürich's hidden treasures. Here is a selection of photographs of Zürich, taken over the last six months. I am sharing these with Newly Swissed because I hope they will inspire you to also discover some gems and to have a second look at places you already know. And if you like my work, please follow me on Instagram @dominikgehl. This photo was taken from the tower of the Grossmünster (built in the late 18th century). 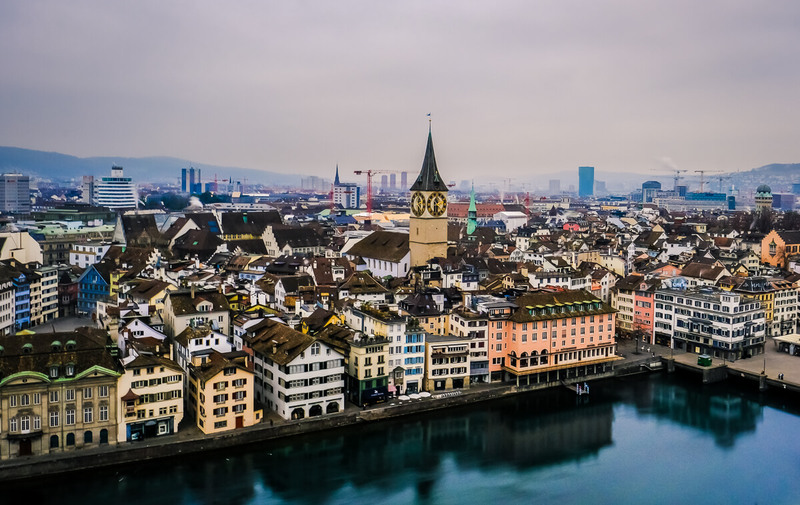 It is overlooking the River Limmat and the city center with the St.Peter church. Further in the back, you can see the 126 meter tall Prime Tower. 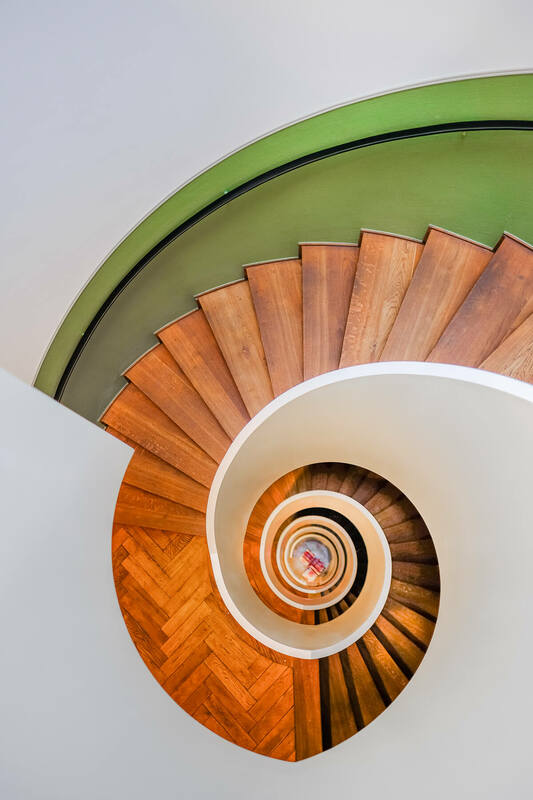 One of my favorite spiral staircases in Zürich is located in the Kappelergasse. The building, as far as I could find out, was built in the late 19th century. 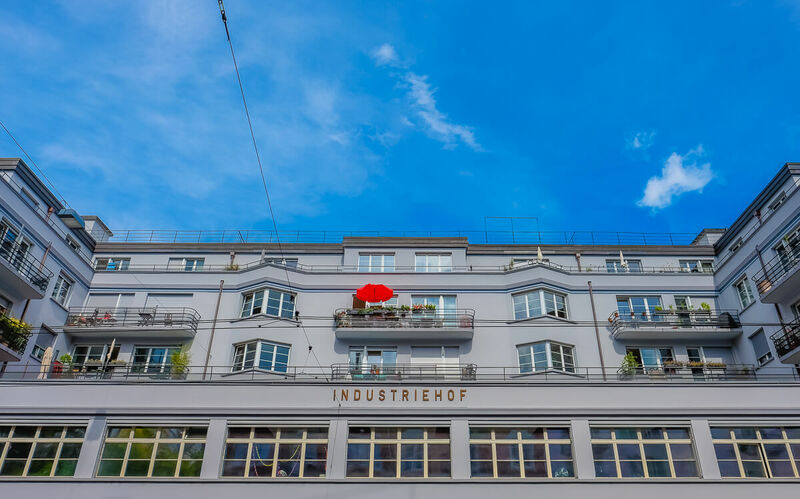 The Industriehof was built in 1929 in the New Objectivity (Neues Bauen) style. It was actually the first building in Zürich to have an underground parking. 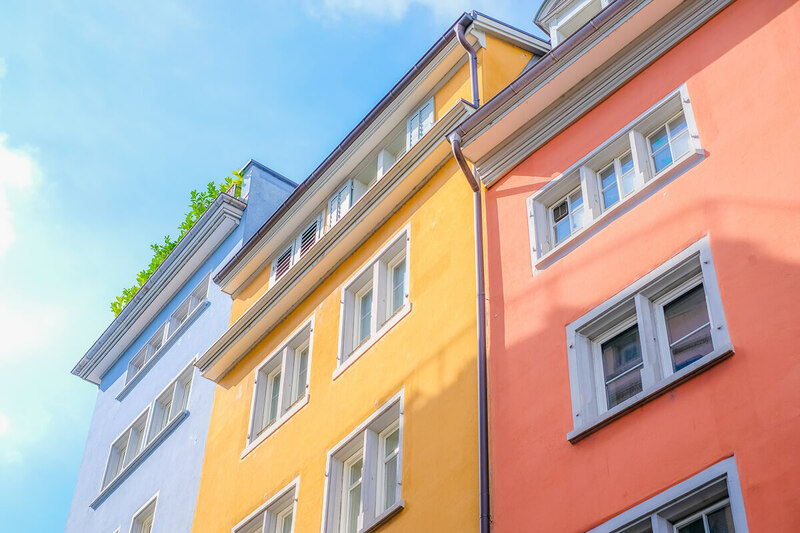 There are colorful facades are all over downtown Zürich. The Zürich Hardbrücke railway station opened in 1982. It is currently served by nine lines of the Zürich S-Bahn system and is considered a main transit station. 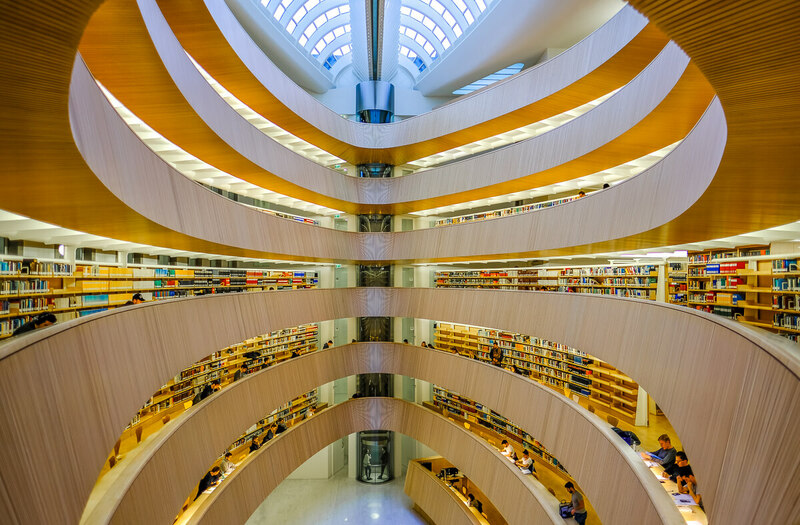 The Bibliothek der Rechtswissenschaftlichen Fakultät der Universität Zürich is simply amazing. The initial building was built 1909 and the modernization by Santiago Calatrava, finished in 2004, left the exterior almost untouched. 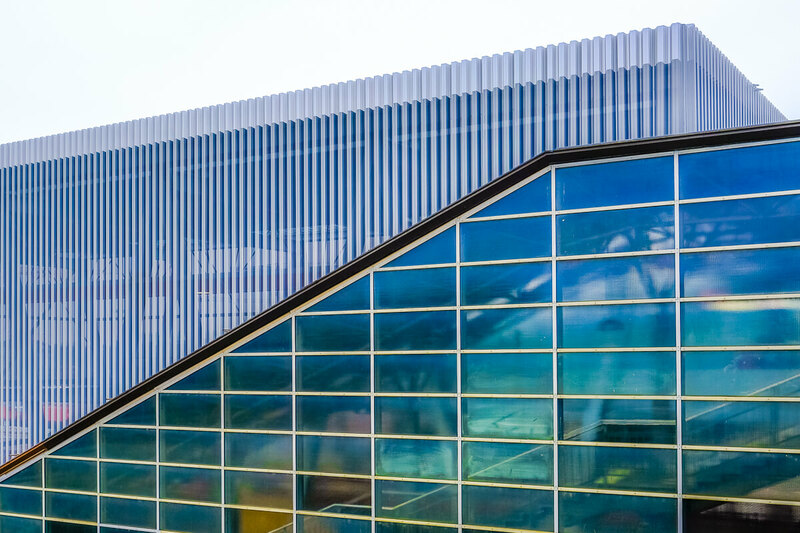 On the inside, a giant wooden oval was constructed, leaving open the 30 meter tall atrium. Here's another view of the Prime Tower, finished in 2011. It actually was the highest building in Switzerland from 2011 until 2015 before the Roche tower in Basel was finished. The Löwenbräuareal, a former brewery with its historic building from 1897, was revitalized between 2009 and 2015. Two new high rises were built: the "Red" building (office space) and the "Black" building (apartments). Today, the Löwenbräuareal is loved by art enthusiasts due to its museums, galleries and art publishers. Based in Lausanne, Dominik Gehl is a software engineer by day. His hobbies include traveling the world, reading and photography. Oh, and he loves coffee and tea. All images © Dominik Gehl.